Make your vacation even more extraordinary! These rooms all have something unique to offer beyond the standard hotel room that will make your family’s vacation all the more memorable. 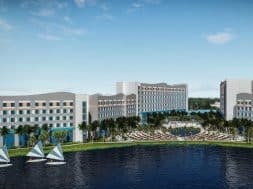 Fittingly, these dinosaurific (yes I totally made that up) Jurassic Suites find their home amidst the greenery of Universal’s island-themed resort. If your little ones are obsessed with Raptors and T.Rexes, then this is the place for you! The JP décor and theming is spot on, and truly feels like you’re at a separate Jurassic Park Hotel within the Royal Pacific. These rooms are Brachiosaurus-sized, featuring a standard king bed plus a sleeper sofa, which can easily sleep 4 adults on its own. Throw in a separate room for the kids, with two twin beds, and there’s plenty of space to unwind. The kids also get a desk and chair, and their own TV as well. After a long day at the parks, parents can enjoy some much need needed peace and quiet (and privacy!) For peace of mind and security, the kids’ sleeping area does not have its own entrance out into the main hallway, and is only connected to the parent’s room. Learn more about Royal Pacific’s rooms. 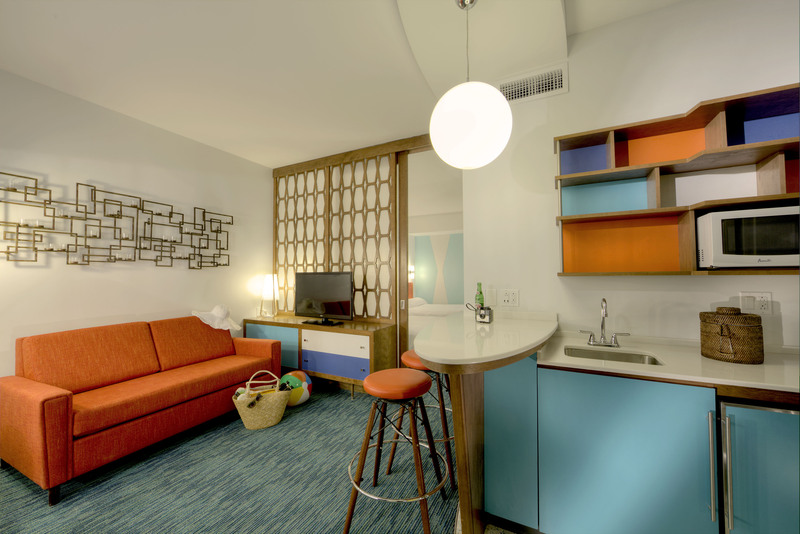 The family suites in this retro-themed resort offer a lot for less! There is a two queen bedroom that can easily be separated from the family room/kitchenette (which contains a convertible sleeper sofa) with a large sliding door partition. No arguments over what to watch, as each area contains its own 40” TV. The colorful décor and even bath supplies are an appropriate throwback to a simpler era. Speaking of which, this bathroom has some serious room indeed, with three separate spaces: a sink, sink/shower combo, and toilet. And the best thing about a Courtyard Suite Poolside Room is the incredibly short walk to the awesome pool area, since the pool is literally surrounded by these rooms. 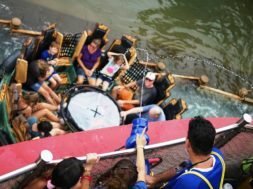 And don’t worry about all the music and splashing and noise when you want to relax, these are some of the most soundproof accommodations around. Check it out yourself, with the door open and closed. It’s pretty great engineering. 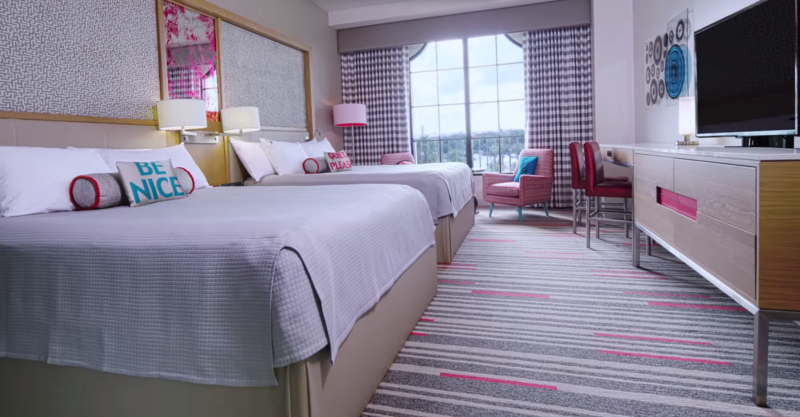 Learn more about Cabana Bay’s rooms. 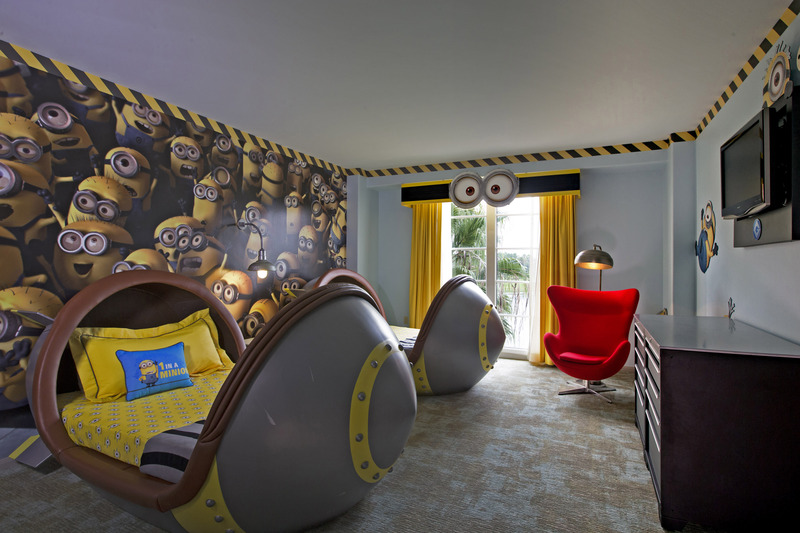 If you have Minions, they will feel right at home in these wickedly themed rooms. Decorated like Gru’s Laboratory, the suites unsurprisingly carry a strong Minion motif. Especially awesome is the fact that the kids can sleep in two custom missile beds, just like in the movies! 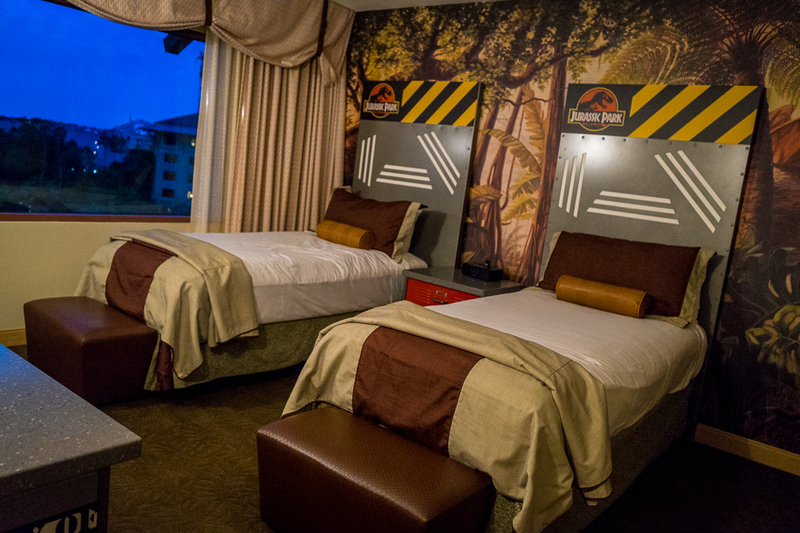 Similar to the Jurassic Park Kids’ Suites, there are connecting but separate bedrooms for the adults and the kids, and only the adult’s room features a door opening into the hallway. Unlike the JP Suites, however, there is a single king bed in the parent’s room and no sleeper option. Both sleeping areas have their own televisions, plus the kids get a mini-play area complete with small desk and 2 chairs, sitting chair, as well as their own closet. 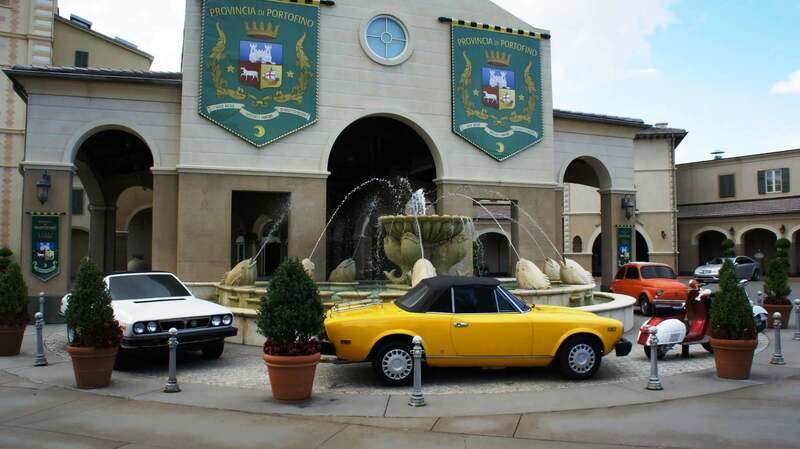 Learn more about rooms at Portofino Bay. The Deluxe Queens provide a great mix of affordability and size, in a great location. These wedge-shaped over-sized rooms are really great for families, designed to provide a lot of area in which to relax or play. They feature two queen beds plus a large pullout sofa in the adjoining living area. There is a long hallway that runs back to the over-sized closet area so you can store a lot – from luggage to strollers to wheelchairs – out of sight. Best of all, these rooms are newly renovated, sporting a chill atmosphere and cool features such as peace signs, rock ‘n’ roll slogans, and artwork with drumsticks and speakers. Another cool touch is the large wall mirrors that compare your height to that of famous rockers and singers. Learn more about rooms at Hard Rock. Feels Like You’re: In the heart of the Caribbean! 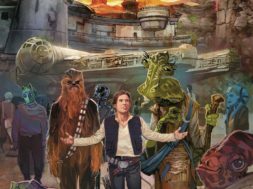 The forthcoming (opening Summer 2016 – book your room now!) 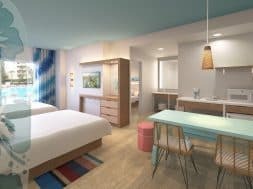 Sapphire Suites at the new Sapphire Falls Resort look pretty amazing. These massive suites have a large bedroom with a king bed, plus a dining area with a dedicated table and what looks to be 6-8 dining chairs. There is also a good size living room with a large couch and two sitting chairs (some of this furniture must double as sleeper(s) since the room is advertised to sleep 5). If that’s not enough, the suites feature a wet bar and two bathrooms. Any suite nestled inside a resort themed to a Caribbean estate in the tropics, and surrounding a truly gigantic 16,000 square foot pool certainly promises an incredible vacation in what amounts to your very own private bungalow in paradise! Learn more about Sapphire Falls’ rooms. Experience these amazing suites and rooms for yourself! Contact the experts at Orlando Informer Travel for assistance booking your next vacation. 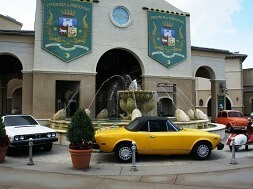 What’s your favorite room to stay in at Universal? Sound off in the comment section below. Paul Danner Paul Danner believes Florida consists mostly of Orlando, and then some other places with oranges and beaches. He is a proud member of Gryffindor House, idolizes Donald Duck (but unlike Donald, wears pants… uh, most of the time), and occasionally writes things that some people find funny. He has visited theme parks well into the hundreds of times in his life so he knows more about them than other things, like politics and math.